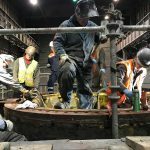 In February 2018, Omega Morgan partnered with Cascade Steel Mills for a major steel mill ladle turret replacement project. Our goal was to move a ladle turret weighing 62.5 tons from Tacoma, WA to McMinnville, OR, and install it on site. A ladle turret is a crucial part of any steel mill. It holds and rotates two hot metal ladles of steel that feed a continuous steel casting system. 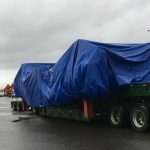 For this project, installation precision was as important as moving the 62.5-ton oversized load nearly 200 miles from the port of Tacoma to the mill in McMinnville. The client relied on us to receive the new equipment at the Port of Tacoma. 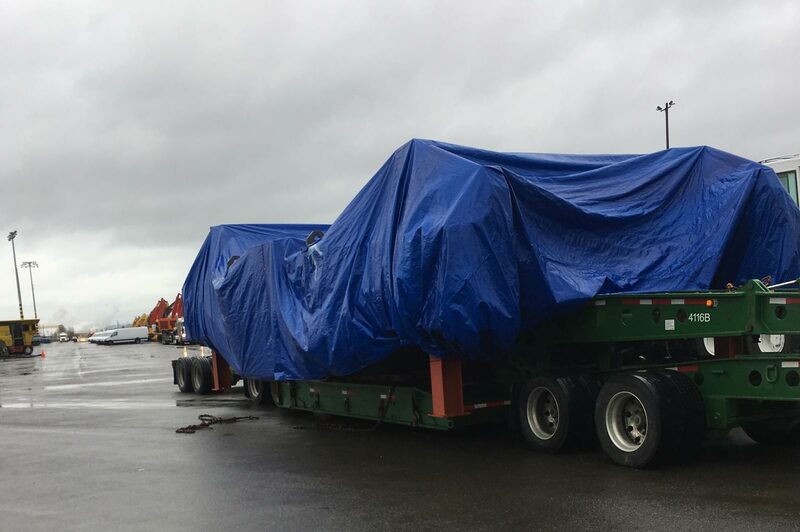 Through our Specialized Transport capabilities, we were able to transport the steel mill ladle turret to the site at McMinnville without incident. At the same time, the old equipment onsite required removal before we could install its new counterpart. The transport arrived one week before the scheduled installation, so beginning on Saturday, Omega Industrial Services worked around the clock. They disassembled the old turret, assisted an onsite team in relocating the unit outside, and brought the new turret into the building. To accomplish this, we used a 200-ton crane to move the outdated equipment outside while installation preparation for the new unit continued inside the building. During the restoration process, the team discovered unexpected cracks in the supporting steel structure of the machine. Left unaddressed, these cracks had the potential to compromise the integrity and safety of the entire mill. That’s where our expertise in these types of projects became crucial. Omega Morgan quickly deployed the needed resources to overcome the obstacle in under 24 hours. The turnaround and fix was fast enough to avoid any significant project delays. Another challenge involved preparing the surface for mounting a large rotating bearing. 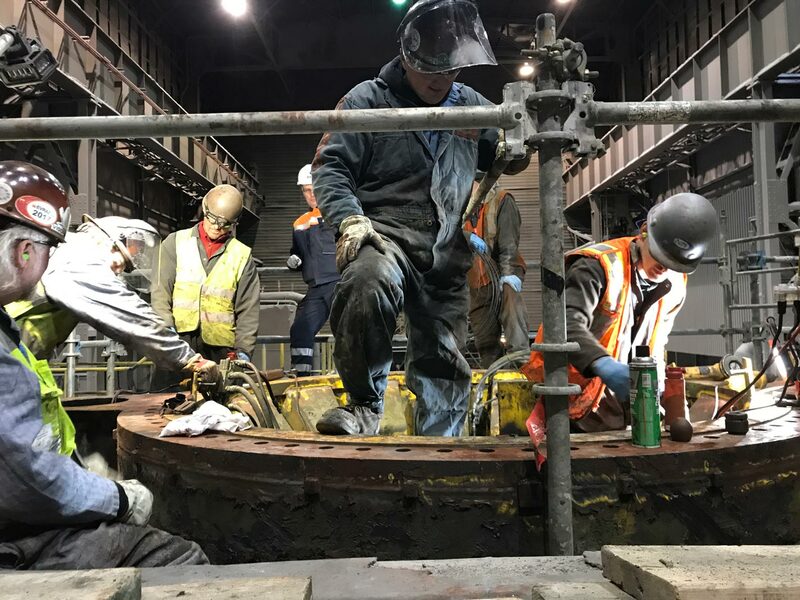 Our field machining services were deployed to restore a machined surface, 6 inches wide around a circle approximately 120 inches diameter (approximately 2,300 square inches). Thanks to the experience of our crew, Omega Morgan was able to complete the install to within half the manufacturers recommended tolerances (.005”). The 0.005″ tolerance showcases our team’s expertise in this type of precision work. Assembly also included post tensioning approximately 160 fasteners using our hydraulic torque wrenches. The final result significantly benefits Cascade Steel Mills. 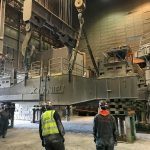 The newly installed steel mill ladle turret will hold and rotate two 30-ton hot metal ladles, which will be able to contain up to 210 tons of liquid steel at 3,000 degrees Fahrenheit, held at 40 feet above ground level when in operation. This will allow the mill to continually produce around 55 tons of steel per hour, to be used in products such as rods, rebar, wire, merchant billet bars, and some structural shapes. The project also showed the added value Omega Morgan can provide to its clients. 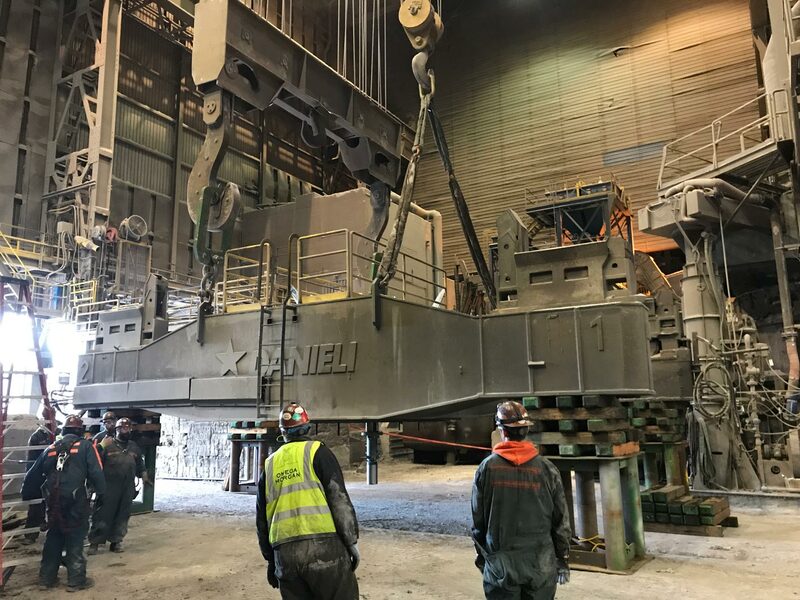 In addition to the steel mill ladle turret replacement, we were able to use our line haul equipment to rig and relocate two electric arc furnace roofs weighing 50 tons each. In short, this project showcased a versatile deployment of the resources Omega Morgan can provide. Completing this job was a combined effort, from our team members in sales, estimating, project management, and procurement, to our onsite team members performing the heavy labor. In many ways, the project embodied our mantra of Strength and Trust, which we can offer to any customers looking to haul or install heavy equipment.